OLD PARKED CARS. 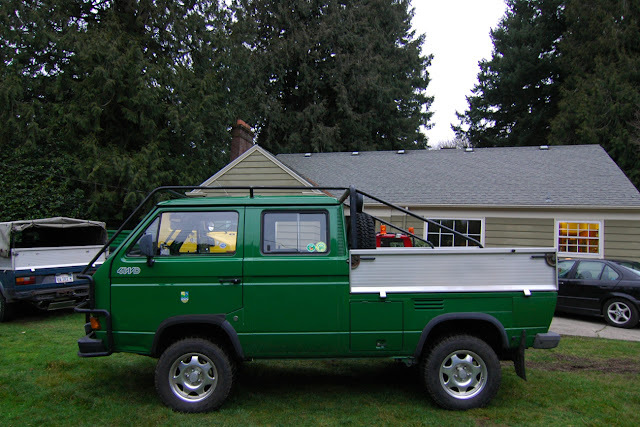 : German Tonka Trucks, Part 4: 1989 Volkswagen Transporter Jagdwagen Syncro TDI. German Tonka Trucks, Part 4: 1989 Volkswagen Transporter Jagdwagen Syncro TDI. One of twelve Jagdwagens (roughly translated as "hunting car") ever produced. 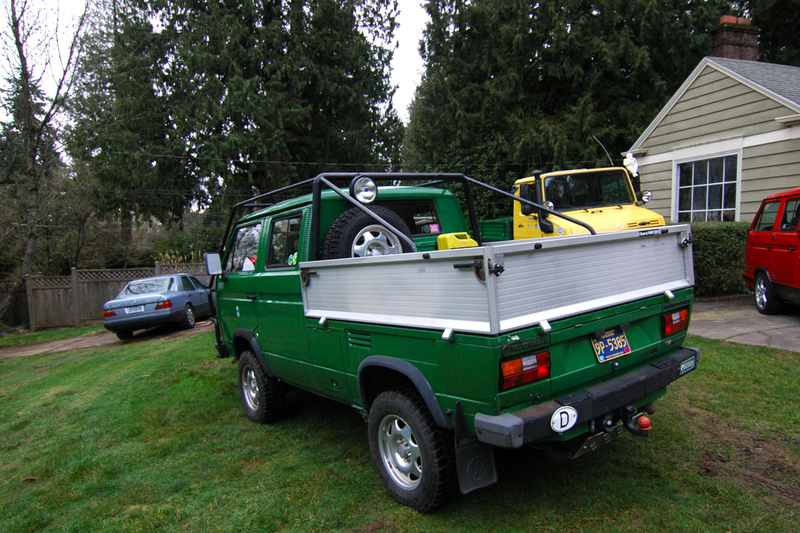 This particular truck was VW's demo vehicle, so they crammed every possible option into it. See more of this collection at Terra Wagen. how great would it be if you opened up that drawer and it was crammed with hanging manila files? but seriously, these things are so studly. 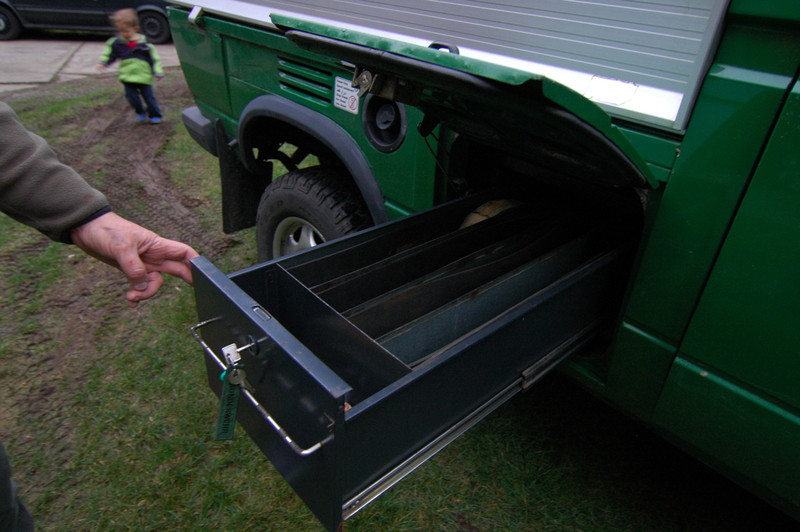 those flip-down bed sides would be perfect for easy access when loading it up with deer carcasses. I like this guy. He has a really cool collection. 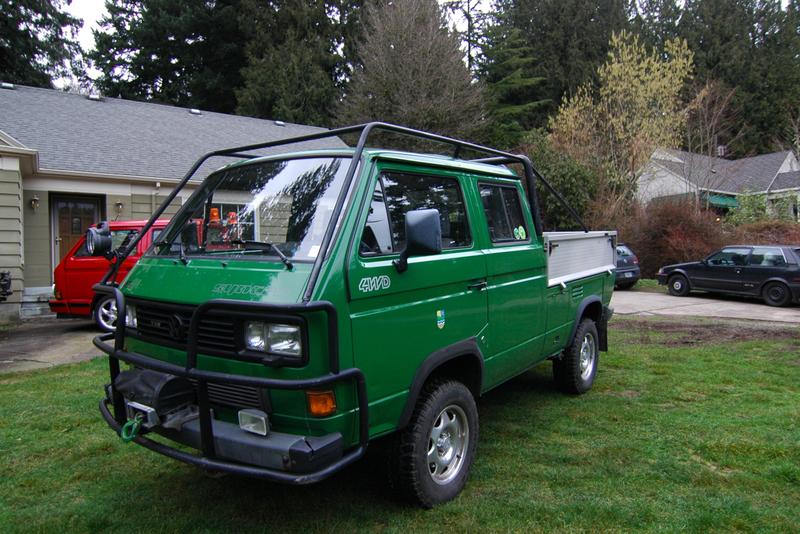 I especially dig those crazy Unimogs. 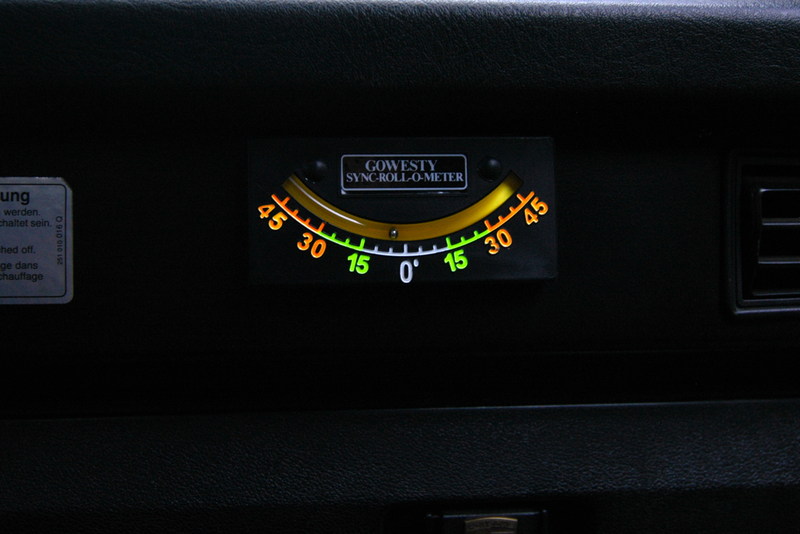 This thing is outrageous... the roll bar, the drawers, the Gowesty Sync- roll- o-meter- did James Bond drive one? 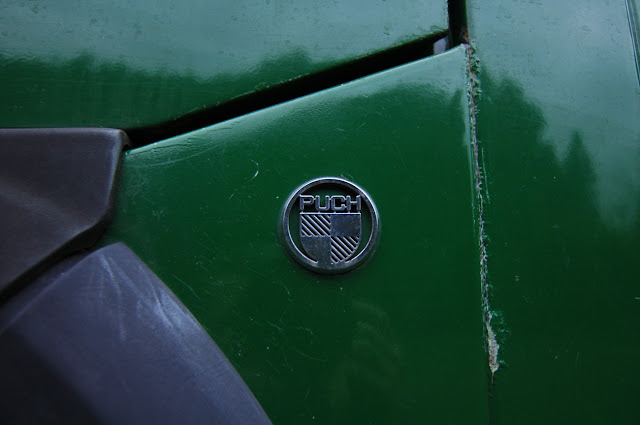 Yes, i see it's a V.W., but the word "puch" wasn't that a moped back some 30 plus years ago?